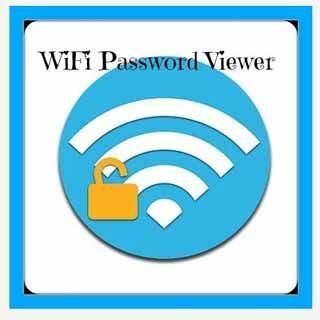 Free download WiFi Password Viewer for Android with APK file. Download WiFi Password Viewer new version from the direct link. Wi-Fi networks are so common today. You open your Wi-Fi detectors and the list is very long. However these networks don’t seem to be so friendly because they are secured and can’t be penetrated. And you can’t do anything about it unless you ask the password. But not every neighbor is to kind to share those passwords. Some are too strict about it. Why don’t you then try this application and scare them with your “ability to hack their networks”. How can you do that? Easy, you only need to have this app on your phone. WiFi Password Viewer is an app that pretends to hack secured Wi-Fi networks. As you open the app it will detect available networks, you only need then to choose a network and tap it. After a while the app processes something and displays a password. This password should be the “weapon” you can use to penetrate the secured network. However this app really does not work that way. The passwords displayed are random words and numbers the app displays. So actually this app is just a prank and is designed for entertainment use only. Download this app now and scare your neighbors with this app. Fool them with your acting skills! Pretend to penetrate networks available all around you. Break those walls.